Price Drop! Was: $139.95 Now: $99.98. For a limited time only, while stocks last. Establish a peaceful sleeping surface anytime, anywhere with the Bestway Inflatable Mattress with Electric Air Pump-Queen! 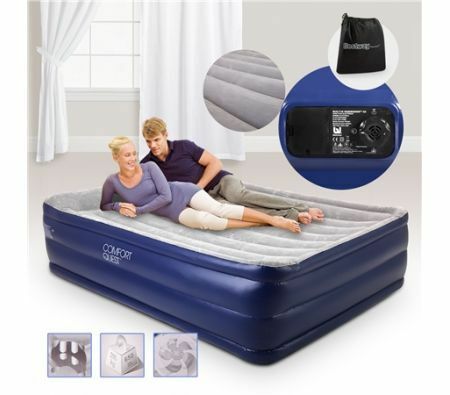 Featuring an electric pump that inflates and deflates with the simple flip of a switch, you can easily adjust the bed to the desired level of comfort. Guests, campers and travellers, will enjoy the support, firmness and extra comfort of this amazing inflatable bed.